So what would the world look like if the Dice Men really did kill Hitler? 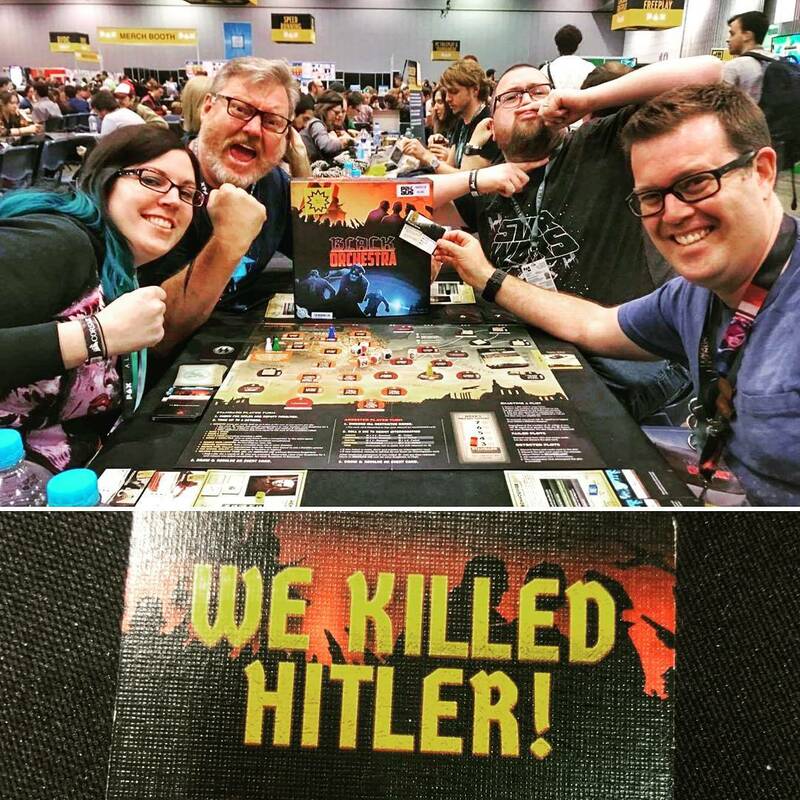 Well you get to experience that today as we talk all about Black Orchestra from Game Salute! Leon then gives a full Essen rundown which consists of “Meh”, and Mark uses every spare minute to bring you the latest news from around the globe! Have we told you we like Area 52? Check them out! Black Orchestra – loved it, and we were successful in putting a bomb on Hitler’s plane, and blowing him up, against the odds.